Accommodation Milton Keynes as well as in all other cities across the UK, takes on a number of options to meet the requirements of those on business travel. Serviced apartments are one of the choices, the advantages of which are discussed in this article. For business travellers or those relocating to Milton Keynes or Northampton, the serviced apartment market is well established. Milton Keynes apartments are centrally located, ideal for short or long stays and convenient for the Midlands and London. Business travel has always been a feature of working life for many employees, but with budgets tight companies are looking for ways to cut costs. However, the very nature of many businesses means that employees are still required to spend days, sometimes weeks and months away from home. Finding the right balance between cost and comfort has led to new developments in the hospitality industry in the last few years. This has included the rise of the serviced apartment as an alternative to hotel accommodation. Individual requirements for accommodation in Milton Keynes or Northampton often depends on the length of stay. For business travellers requiring accommodation in either city from a few nights to more than a week, the serviced apartment provides a competitively priced alternative to hotel accommodation. Our apartments in Northampton and Milton Keynes are centrally located with easy access to the main transport links and business districts. 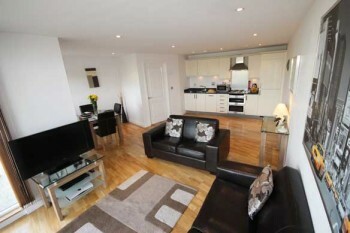 These fully equipped apartments offer privacy and flexibility. For business travellers or those relocating to Milton Keynes or Northampton, the serviced apartment market is well established. Our Milton Keynes apartments are centrally located, ideal for short or long stays and convenient for the Midlands and London. 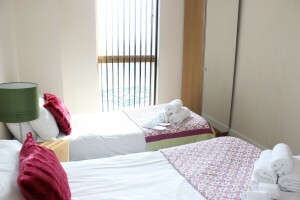 Please visit our website on https://cotels.co.uk for more details on all our apartments and to place a booking.